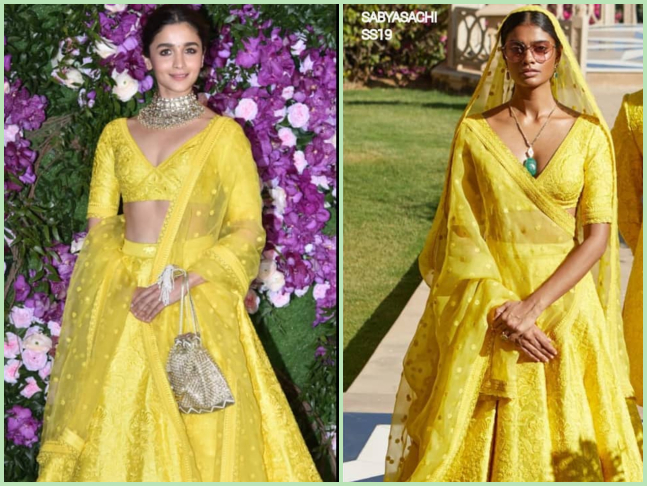 Setting Summer festive wardrobe goals, Alia Bhatt wore this bright yellow lehenga at the soiree and we are obsessed! Styled by Ami Patel, the Gully Boy actress wore this bright Sabyasachi number at the red carpet. Her look was paired with a basic low-bun, kohl eyes and a stunning choker neckpiece. 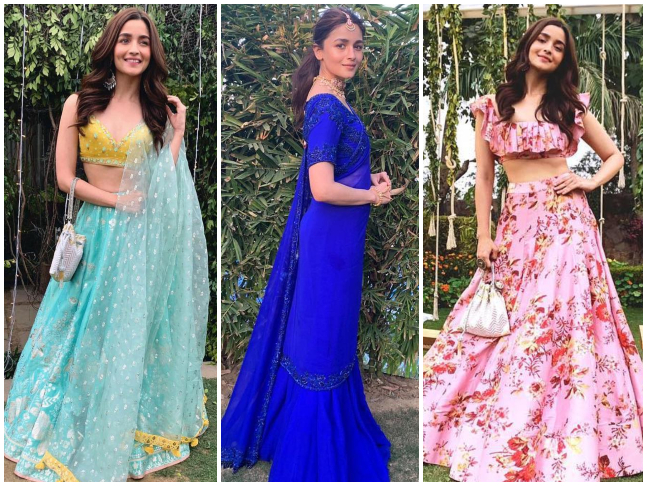 The actress has previously given us major #ShaadiWardrobe goals with her OOTD's from other summer weddings. She wore a similar neon green Sabyasachi lehenga at Sonam Kapoor's wedding last year, where she discreetly revealed her status with beau Ranbir Kapoor. Well, with so much inspo, we think we have our festive outfits sorted. What about you?